Paige has a super strong neck for an infant. She's always been able to haul that heavy noggin around pretty easily and we decided to try her in the bumbo chair this last week. 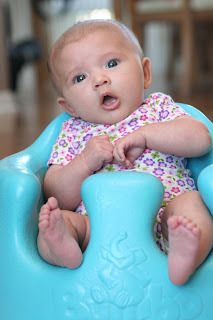 She did a great job with it and seemed to really like sitting up straight like a real human does. 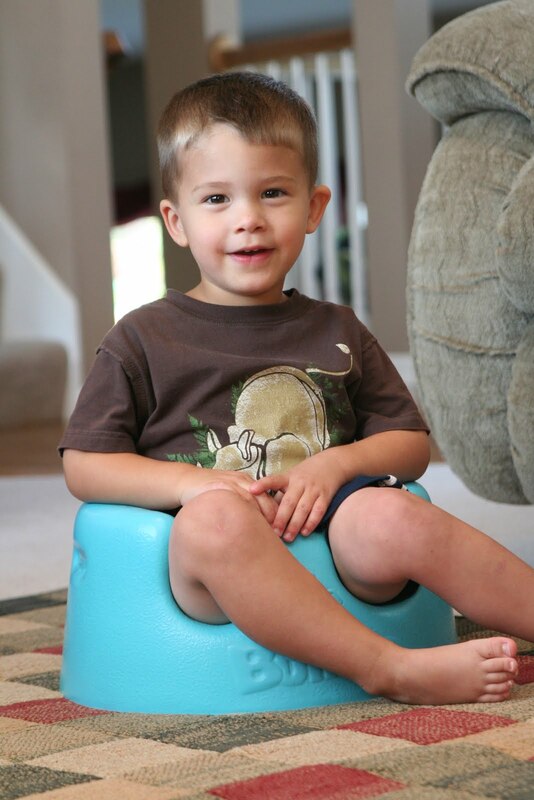 Connor couldn't help but get in on the fun... You're a little too big for the bumbo chair big boy! So cute. Love those two.